CrunchBang, an Ubuntu-based Linux distribution that sports a snappy, low-drag interface and is perfect for thumb drives, live CDs, or speed-obsessed Linux fans. Check out how it looks and runs in our screenshot tour. Getting started is pretty simple. 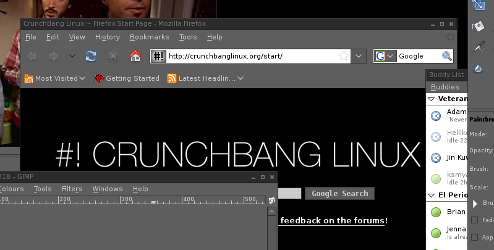 Head to CrunchBang's main site, find the Download section, and grab the main ISO file (from BitTorrent or directly). You can burn it to CD/DVD, load it as a virtual system in VirtualBox/VMWare, or install it on a flash drive with UNetbootin. Put your CD or USB drive into your system, or boot your virtualisation tool, and hit Enter at the boot prompt to load the live session of CrunchBang. Conky is one of those Linux tools that gets better every time you open it up and poke around. 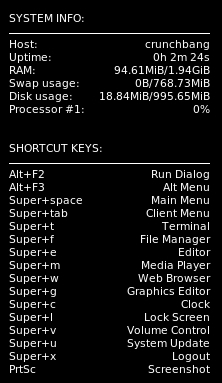 The basic setup in CrunchBang is pretty functional, giving you a list of the (really helpful) Windows key shortcuts (it's called the "Super" key in Linux land) and basic system stats. 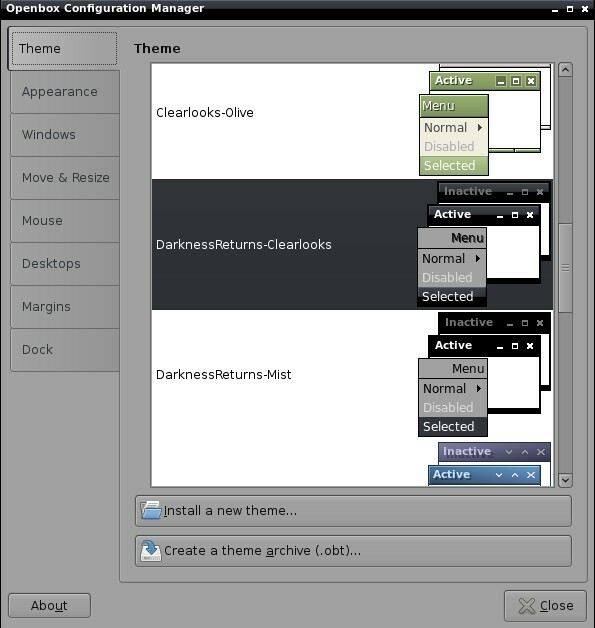 You can, of course, modify a single text file to customise Conky for ambient productivity, or try out a pre-configured setup out there, like this beautiful, minimalist setup well-liked by readers. Package management is handled through the Synaptic tool familiar to any Ubuntu user. For the most part, any app that works on Ubuntu and doesn't require some specific, graphically-tied tool will work in CrunchBang. 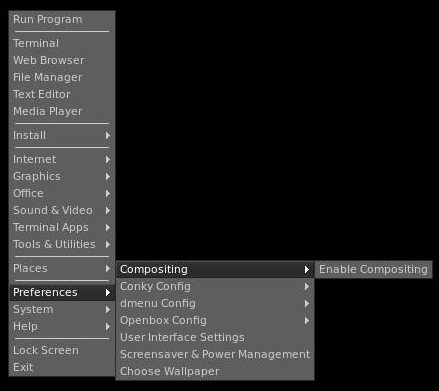 Even the tools that requires 3D compositing—like the OS X-like AWN Dock—can be used by a right-click menu switch that enable compositing (seen above). 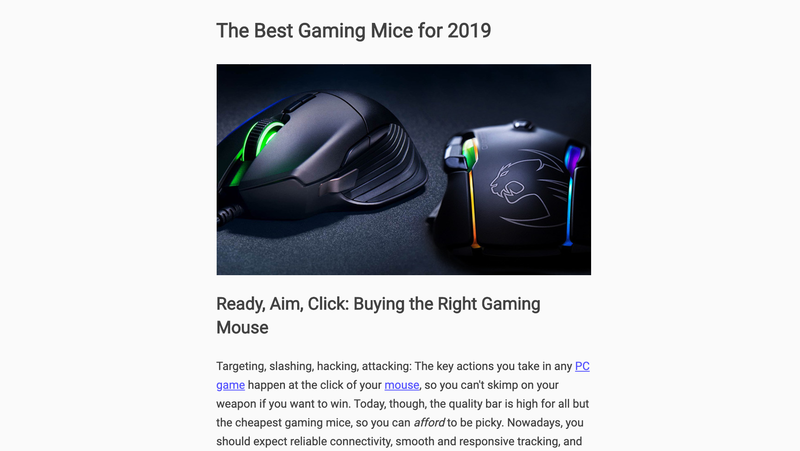 CrunchBang seems to Just Work on the two systems I tested it on, and it looks like a great fit for an on-the-go desktop for your thumb drive, or replacement for a slow-moving Linux boot. Have you tried CrunchBang and like something in particular? Refuse to give up Puppy or Damn Small Linux? Give us your reviews in the comments. I've converted to #!CrunchBang from straight Ubuntu on both my main laptop and my eeePC (they have a cool custom eeePC version of #!CrunchBang)... Its also worth installing the Moo splash too, to create a text Cowsay splash screen for bootup and shutdown - quite cool! 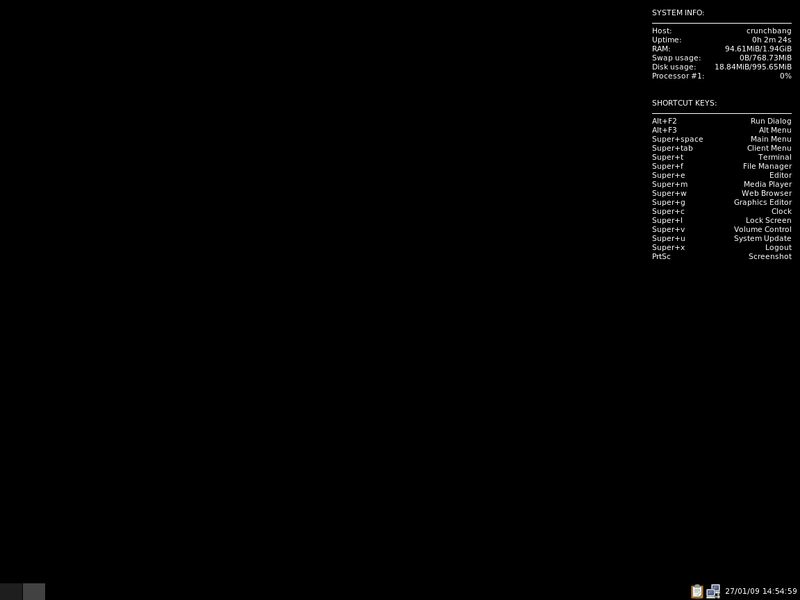 More importantly, it runs really well and is very efficient with resource use. got crunchbang running from sd card on eee 701. works fine. neat tho print is small. but would like to know how to save settings, other aps to sd card. Crunchy has turned my 10 year-old computers into lean, mean hacking machines. I was able to load the xfce desktop with little trouble where "xubuntu" wouldn't work on my compaq 731mhz 256mb PC. It's amazing that, with only 256mb ram, I am able to have a modern operating system.